Thomas Luciano | New Growth Hair Magazine | We capture the culture of urban barbershops and beauty salons. 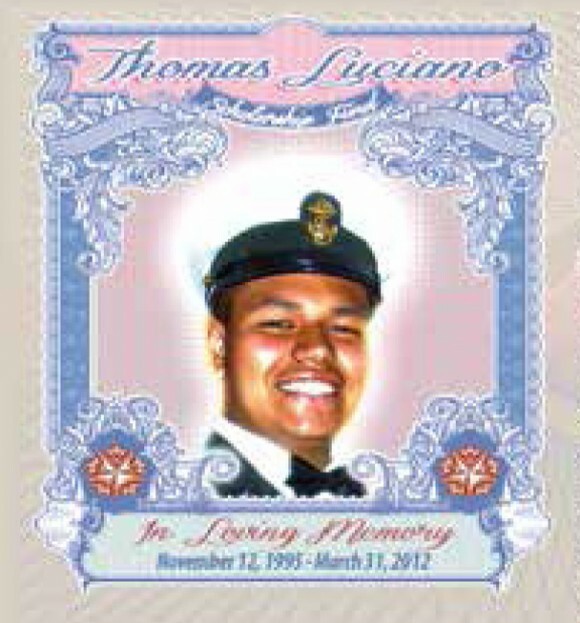 Thomas Luciano was known for his magnetic smile, his delightful personality, and his sense of humor. During his short-lived 16 years, Thomas made a huge impact on many that he encountered. At South Mecklenburg High School, he served in a leadership role as the Command Senior Chief in the ROTC program. He was also an ambassador of Puerto Rican culture, proudly sharing his heritage through his passion for dance and his love for the music of Hector Lavoe’s and other Latin musical giants. After his classmates interacted with him, they were sure to leave with a taste of Puerto Rico. Thomas and his mother Olga Rivera attended worship service and participated vigorously at World Worship Church. Both were involved in numerous charitable events within the church and beyond. In tribute to Thomas’ life as a young and compassionate leader, Olga and The Puerto Rican Cultural Society of Charlotte (PRCSC) have founded the Live Like Luciano Scholarship Fund with the goal of helping more bright young minds attend college. For additional information about Thomas Luciano, visit Live Like Luciano or contact PRCSC.